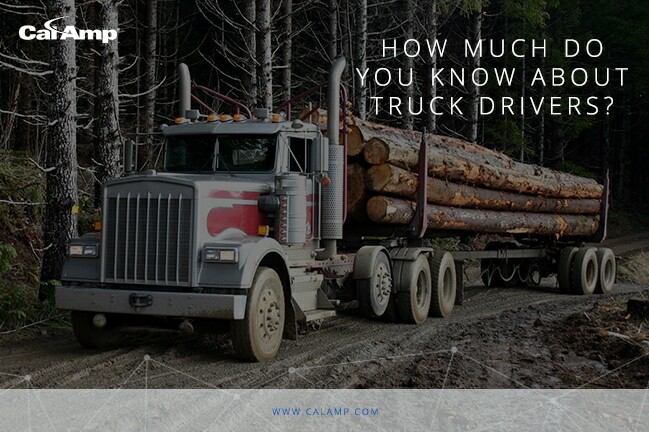 How Much Do You Know About Truck Drivers? The week of September 10-16, 2017 is designated by the American Trucking Association as National Truck Driver Appreciation Week. It is a time to recognize and thank the 5.9 million commercial drivers who keep the U.S. economy humming whether they are delivering consumer goods, livestock, construction equipment, industrial supplies or other essential loads. We recognize the hard work that you do. Below are a few industry statistics that we have collected. How many do you know? This is only a small fraction of information yet you can see the industry’s impact. And while some aspects of driving a commercial vehicle seems to be timeless such as the CB radio, over the road trucks continue to be updated as new technology comes to market. Trucks, like connected cars, are going through transformation with the influx of technology. The applications range from basic GPS devices to vehicle telematics to autonomous trucks. The result is improved safety and more efficient operations.